As a little pig, your greatest desire is to build a strong and beautiful house where you can spend your long winter evenings. You won’t need trowels or scaffoldings, since you can roll the dice to build your dream home. But beware the wolf prowling around, and all he wants to do is to huff, and to puff, and to blow your house down! 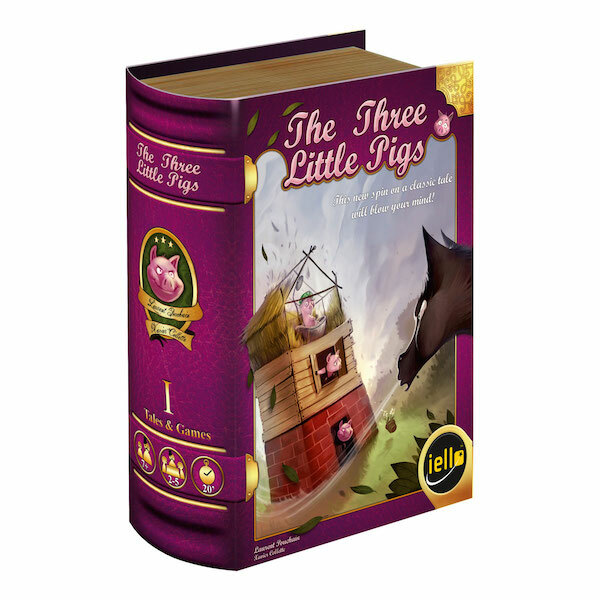 The Three Little Pigs is a fun and easy “push your luck” dice game for the entire family. On your turn, try to get the best combination of doors, windows, or roofs to add to your lovely home! And if you accidentally bring the wolf out of the woods, take a deep breath and try to blow down another player’s houses by blowing on the spinner! This original award-winning game comes with an illustrated version of the famous tale it is based upon. Check out the Board Game Geek page! Watch The Dice Tower reviews!